I had great expectations from one of the oldest cities of India – Pushkar, but was a wee bit disappointed as the holy Pushkar lake, which is the highlight of this pilgrimage center was almost dry. 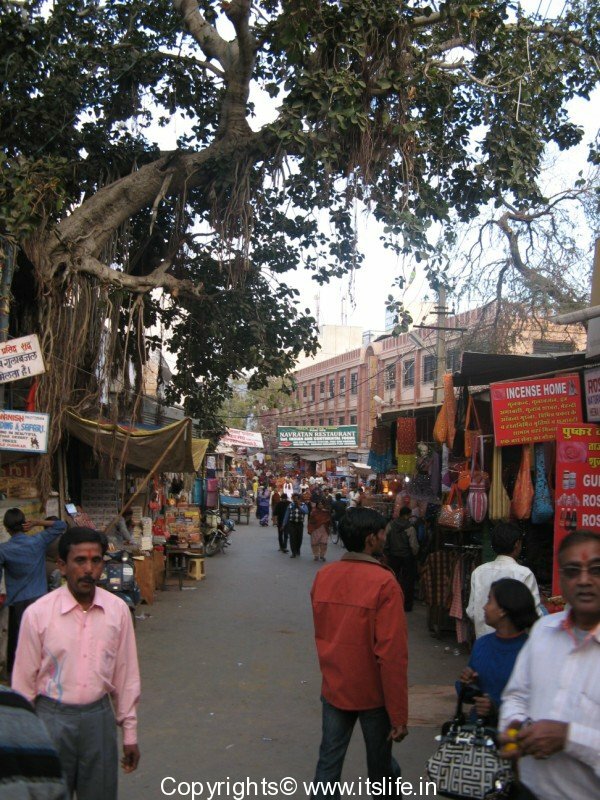 But nonetheless, the sleepy town with shops displaying their colorful wares lining the path to the Brahma temple and the temple itself was worth the visit. 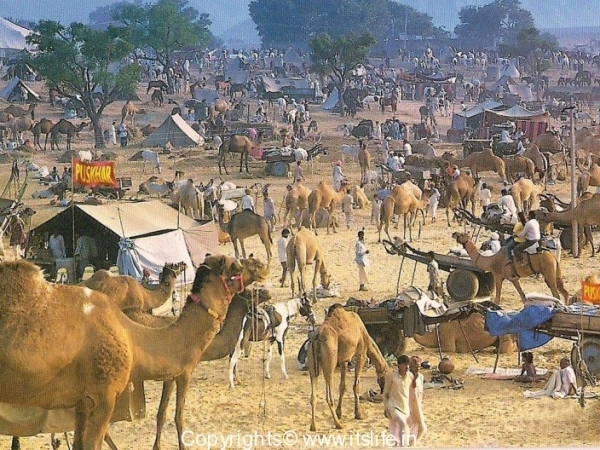 Pushkar is situated 11 Km from Ajmer, Rajasthan. 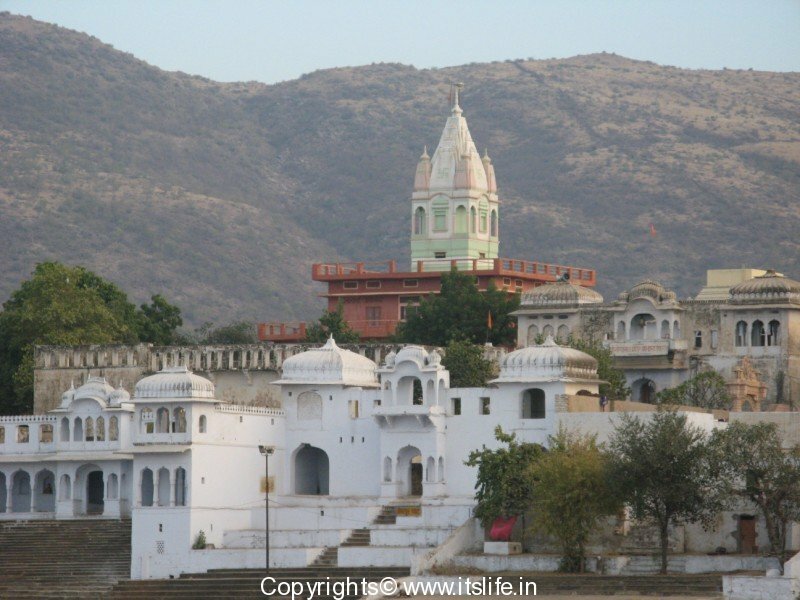 From Ajmer we have to drive into the Nag Pahar / snake mountain to reach Pushkar. It is an enjoyable ride especially if you are driving from the desert, like we did! 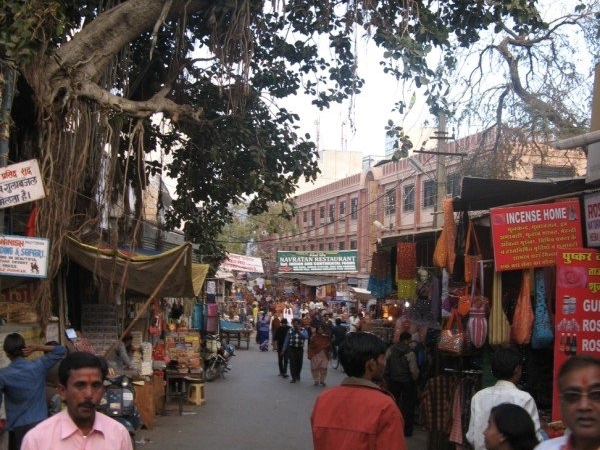 Pushkar in Sanskrit means blue lotus flower. Legends tell that the gods sent a lotus with a swan and it was agreed that wherever the lotus falls, would be the place for Lord Brahma to perform an elaborate yagna. 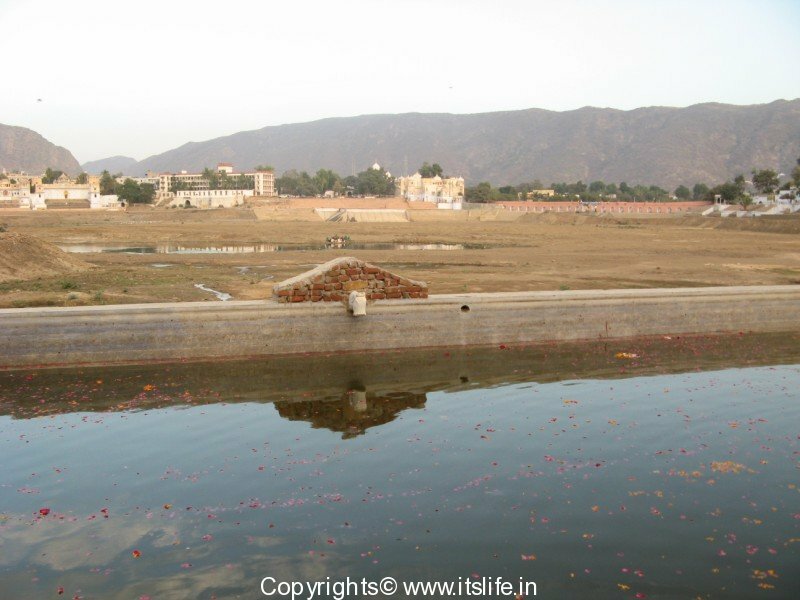 The place where the lotus fell was called Pushkar. 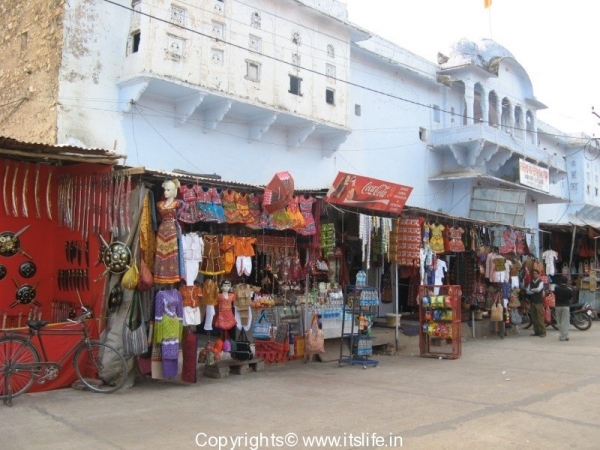 Pushkar has the distinction of having one and only Lord Brahma temple, in India. 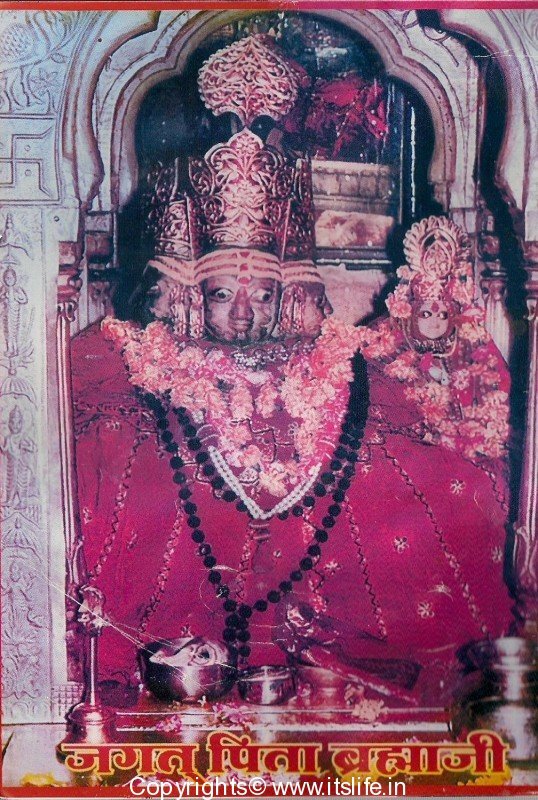 A very unique life size idol of Brahma is installed here. 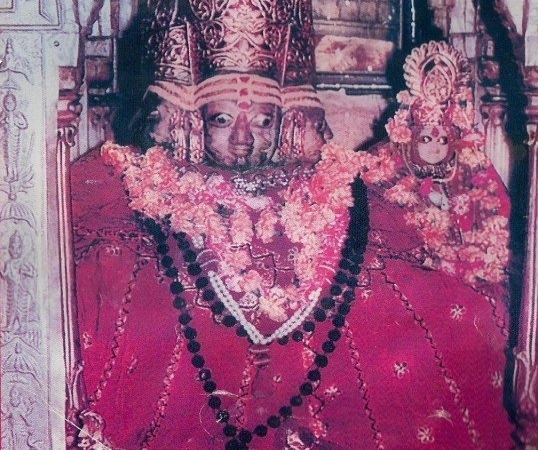 A temple dedicated to Goddess Savitri is situated on Ratnagiri hill behind the Brahma temple. Goddess Savitri is the wife of Lord Brahma. 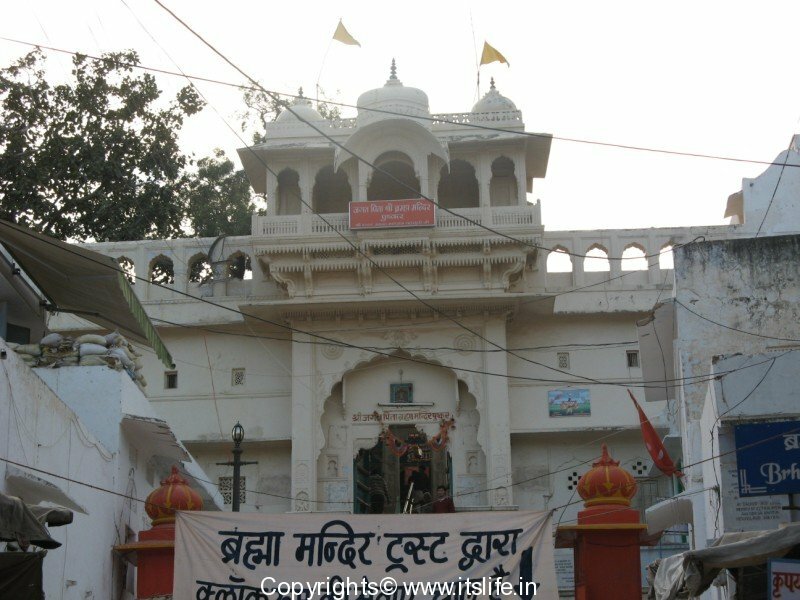 A flight of steps leads to Savitri temple and you get a beautiful view of the Pushkarni / lake and sand dunes around the place. 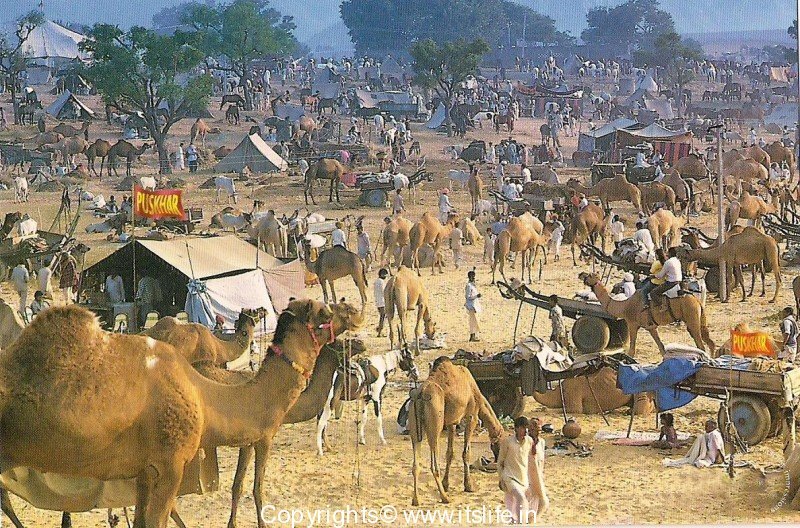 The place is also popular for the largest winter camel and cattle fair in the country, which is held for 5 days. This fair attracts a lot of foreign tourists. 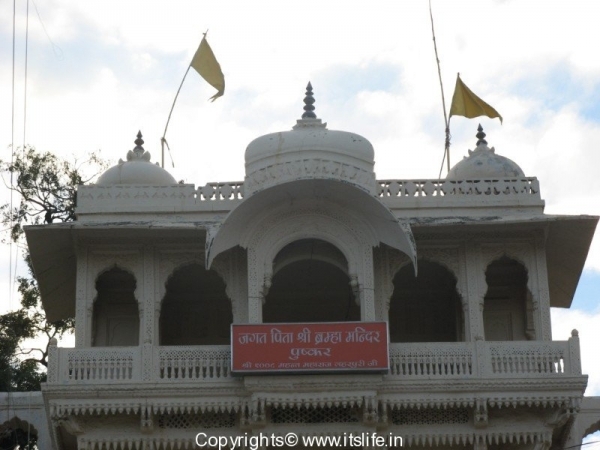 Cameras and mobile phones are not allowed inside the temple. There are shops, where these items can be deposited safely. The other places of interest in Pushkar are Varaha temple, Mahadeva temple, and Ramaviakunth temple.